If you are looking for a smarter way to get around town than just any old vehicle, the 2018 Chevrolet Spark makes you look like the smartest person around. That is because the new Spark features an intelligent design that makes it more fuel efficient, functional, and affordable than anything out there on the market today. Whether you are headed to work or spending an evening out with friends, this is the way to get it done. 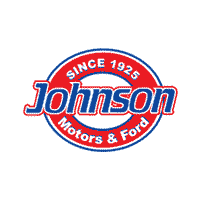 Come take one for a test drive with the friendly, knowledgeable staff of Johnson Motors in St. Croix Falls, and see all that this well-designed subcompact car has to offer you. When it comes to the 2018 Chevrolet Spark, safety is always at the forefront of everything that we do. The three-tiered approach to safety is a great way to get the peace of mind that you are looking for on the road. With four different features like the rear vision camera and forward collision alert, preventing accidents just got a whole lot easier. Features like 10 standard safety bags and a high strength steel safety cage make protecting your most precious cargo a breeze. In terms of post-accident response, the inclusion of the OnStar Safety & Security Plan with Automatic Crash Response for the first month means that even should you be involved in an accident, your family will be taken care of. In terms of smart design and efficiency, the 2018 Chevrolet Spark is truly something special. Equipped with a 1.4L engine, you get an impressive EPA estimated 39 mpg on the highway or an even more impressive 98 horsepower at 6200 RPM. All of this combine to make the Spark the perfect car for life in the city. Whether you are moving through heavy traffic or performing maneuvers at freeway speeds, the Spark can handle it all. Take one for a test drive at Johnson Motors in St. Croix Falls, and experience the Spark first hand.